Anybody want some side steps for a Ford F-series? I got these for free a couple weeks ago, and nobody around here is willing to pay me $20 for them. So I figured I’d offer them here for free. 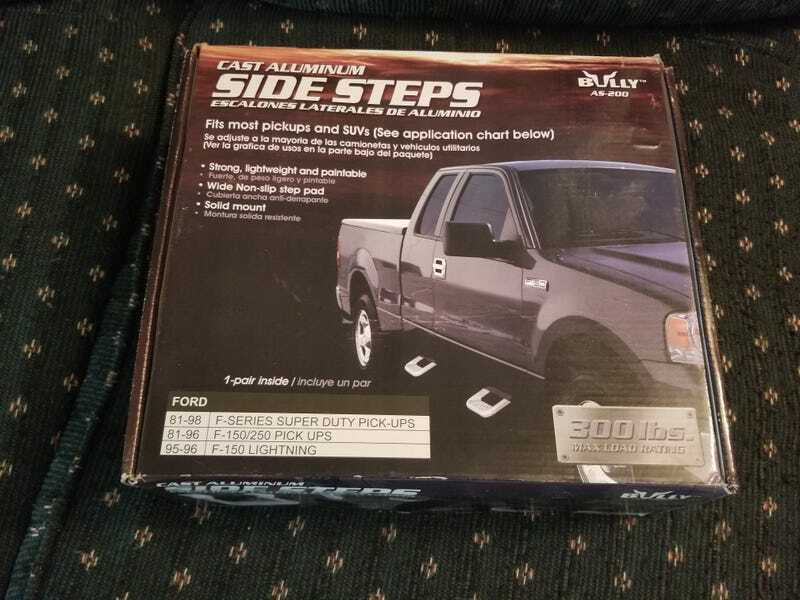 (you pay shipping, though, unless you’re within half an hour of Norcross, GA and I can deliver them) It’s a set of two never used aluminum side steps. All I ask in return is a picture of your truck with them installed so i know they’ve been put to good use.